Bilic out or Bilic in? Where do the fans stand? Much has been said and written about our game last weekend at Newcastle, and our season to date. We are only three games into the Premier League campaign, but we sit at the foot of the table, just as we did after both the first and second round of games, too. We’ve been there before at this stage and gone on to have an OK season. Also, from this position we have not progressed and ended up being relegated. 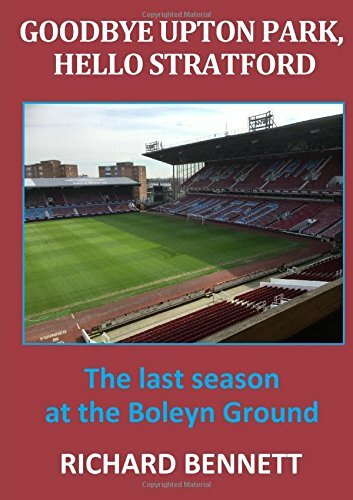 I’ve been a regular at Upton Park (and latterly the London Stadium) for sixty years. I’ve seen us win the first three games of the season, or lose the first three, and every combination in between. Perhaps the worst start I remember was in 1962-63 when we lost our first three games 1-3, 1-4, and 1-6, and two of them were at home! (to cap it all, the 6-1 defeat was to Tottenham!). In fact we only had one point after five games, and were rock bottom of the league. But we rallied to finish comfortably in mid-table, and by the first week of October we’d had wins of 6-1, 4-0, 6-0 and 5-0. But it is not just the fact that we have lost our first three games, albeit all away from home, and at grounds where we haven’t had much success in the past. It is the manner of those defeats that worries most fans, and apart from our comeback against the odds at St. Mary’s, our football has not been of sufficient quality to warrant a great deal of optimism. It would be hard to envisage a turnaround of 1962 proportions. The majority view, as far as I can tell, is that we have generally had a successful transfer window. At least most thought so before we had played any games. Personally, I believe that the jury is out, although I do reckon that we have a squad of players capable of finishing in a mid-table position. The evidence of the opening games doesn’t necessarily suggest that, though, and fans and pundits alike have been having their say regarding what has gone wrong. If you read the newspapers, watch football on TV and listen to the comments of ex-players who now ply their trade as experts, and sift through the multitude of views on social media, then there are so many differing views as to why we sit at the bottom. The biggest debate seems to surround the manager (and coaching staff, perhaps), who many feel are not getting the best out of the players that we have. On the one hand we have the ‘Bilic out’ brigade who I generally feel aren’t just picking on him as a result of the first three games and lack of results and points. Many like him as a person, and for his enthusiasm, but feel that the writing was on the wall last season and has just continued into this one. They cite what they consider to be some strange team selections, players not playing in their best positions, an apparent favouritism for “undroppable players” (Noble being the main one here), poor preparation for games, a lack of organisation and tactical awareness, and players not seeming to understand (or able to carry out?) a playing style that has any consistency or is the right one for the opposition that we are facing. Many are also questioning the fitness of the squad, which is very worrying at this stage of the campaign, as were the post-match comments from the captain and manager talking about “tiredness” which I found to be astonishing. The “pro Bilic” supporters on the other hand, which appear to me to be declining in numbers, although many still exist, cite the fact that we finished a very creditable seventh (which could have been even higher) in his first season in charge, we were only a point off eighth last season, after a difficult time of transition to a new stadium, both of which were final league positions that they consider to be appropriate for a team of our standing, and he should be given more time. I read phrases like “we need to stick together”, and “in Slav we trust”, whilst at the same time the pro-Bilic fans believe the blame lies elsewhere, in particular the board. But for those supporters who want to back the manager I have read very little that contradicts the reasons put forward by those of an opposing view. Quite how anyone knows what the manager was told by the chairman at their meeting at Rush Green last Sunday I do not know. Perhaps the discussion was leaked, either deliberately or inadvertently, but the general consensus seems to be that he has four games to “turn it around.” Other reports suggest that he only has two. According to some, Sullivan has a “six defeats in a row and you are out” policy. Whether this is fact or conjecture only time will tell. Discounting the Bolton League Cup tie, which is at home, three of the next four league games will also be played at the London Stadium, and they will not be as easy as many believe. Huddersfield have seven points from their opening three games without conceding a goal, Tottenham are always a danger despite their indifferent start to the season, and Swansea look more formidable than they were for much of last season. Those are the three home games, whilst a visit to the Hawthorns against a so-far unbeaten West Brom team will not be a walk in the park either. I have no idea what will be considered an acceptable improvement, but I would imagine that being unbeaten in the month of September will be the minimum requirement, but who knows for sure? What we do know is that if the board decides that they have had enough and appoint a new manager, he will have to work with the squad that we have. And what odds can you currently get on who our next manager will be? Benitez is favourite at 5/2, followed by Mancini, Inzaghi, Jokanovic, Bielsa and Howe, in a list that extends to 33 names down to Curbishley at 66/1. And he isn’t the only ex-manager of our club on the list. Pardew, Redknapp, Zola and Roeder all appear too, showing what a nonsense this betting market can be. As a fan, I hope he does turn it around and we have five wins in the next month, and sit with twelve points from seven games played in the league, as well as progressing to the next round of the league cup. I fear however that he may not be the right person to take the club forward, and wonder if he recognises and can change what many believe to be his shortcomings as a manager? The next month will be an interesting one, as it always is (one way or another) when you support our team. Good points made but unfortunately Mr Bilic is way out of his depth. The sooner he goes the better as we some great young players and a good first team squad that could have an exciting season under the right tactician. The board are to blame as he should of been replaced when Payet left as he was his plan A, B and C.
Good read this article. Sums the feels up well. Bilic should have been sacked at the end of last season at the latest. I don’t know what he can show us for the next 4 games that he didn’t last season. I can take 3 defeats no problem but the standard of football this season and last is unforgivable. Bilic comes across as inept. He got to go is it 4 games he got 4 games too much 4 games later we could be well behind stuck at bottom, I feel sorry for season holders they paid up me and my son keep our money in our pockets and see how it turns out. Next Next post: What Will Deadline Day Have In Store For West Ham?